Sardinia, the second largest island in the Mediterranean of the coast of Italy, is known to be a luxurious getaway destination. During the summer, this island known as “The Pearl of the Mediterranean”, is visited by many celebrities and socialites alike including Lindsay Lohan, Bradley Cooper, Elton John among others. Porto Cervo in is filled with multi million dollar mega yachts, luxurious villas, and upscale dinning and night life, it is no wonder that this island is preferred by many as their luxurious escapade. 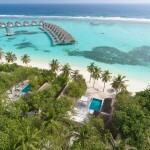 Besides its prestige and notorious guests, the island has much more to offer. Its sandy beaches, turquoise waters and mountainous interior make it great for beach lovers and adventure lovers like hikers. 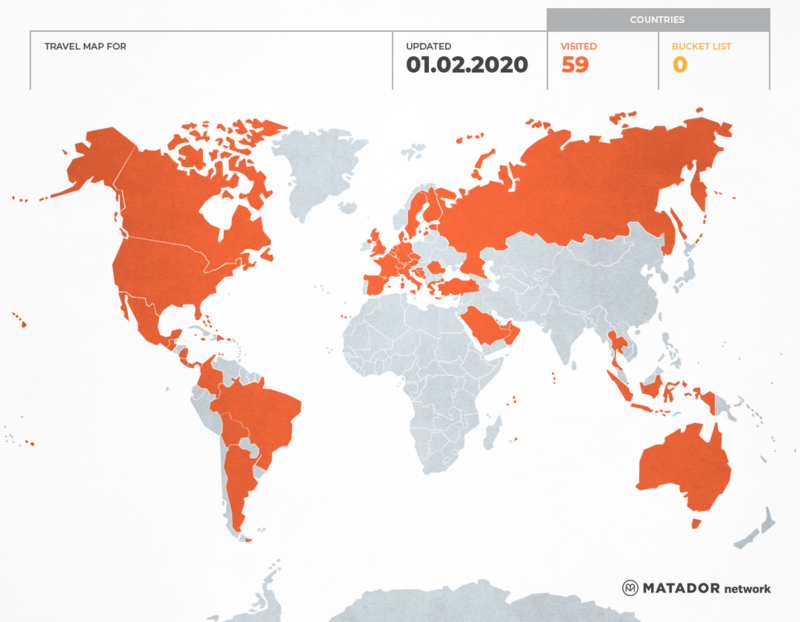 Due to its location, this little paradise is super accessible especially for those in Europe. 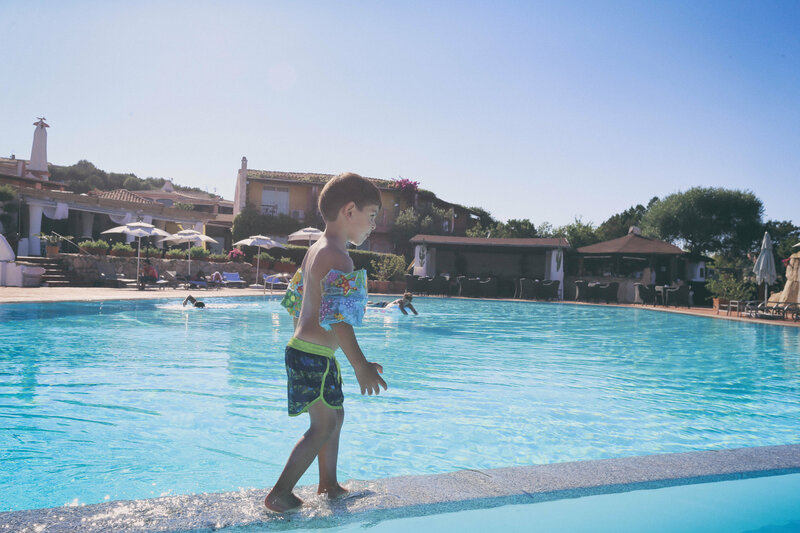 This past summer during our Euro Trip, my family and I spent a week in the seaside resort of Porto Cervo, staying in The Grand Hotel. 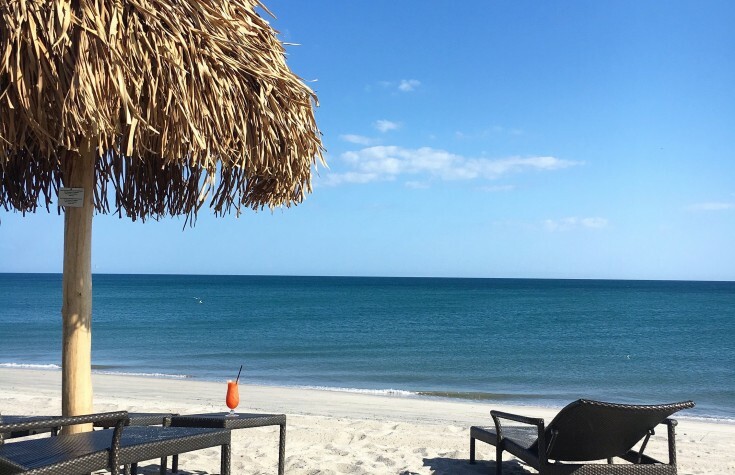 You can not beat the location of this 4 star property; it is a short drive away from anything that you might need from first class dinning restaurants, ultra luxurious night clubs, to the marina, grocery stores… anything and everything is in the area. The furthest distance is to Olbia Airport, which is about a 40 to 45 minute drive. 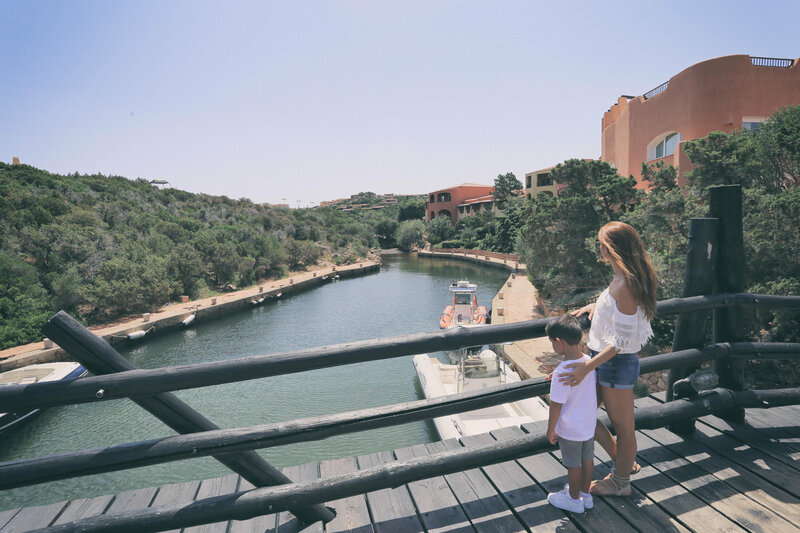 At only a 5 min drive, the Marina Di Porto Cervo or Porto Cervo Marina is one of the most equipped and protected ports in the Mediterranean. And I would also add, one with the most charm and character. The hotel also has access to a beach, which due to the high and mountainous terrain is not common in all hotels in the island, so this is a huge plus, though the beach is not private, so you do have to pay extra (quite costly) for any sun beds, umbrellas or anything that you might need at the beach and share it with the locals. 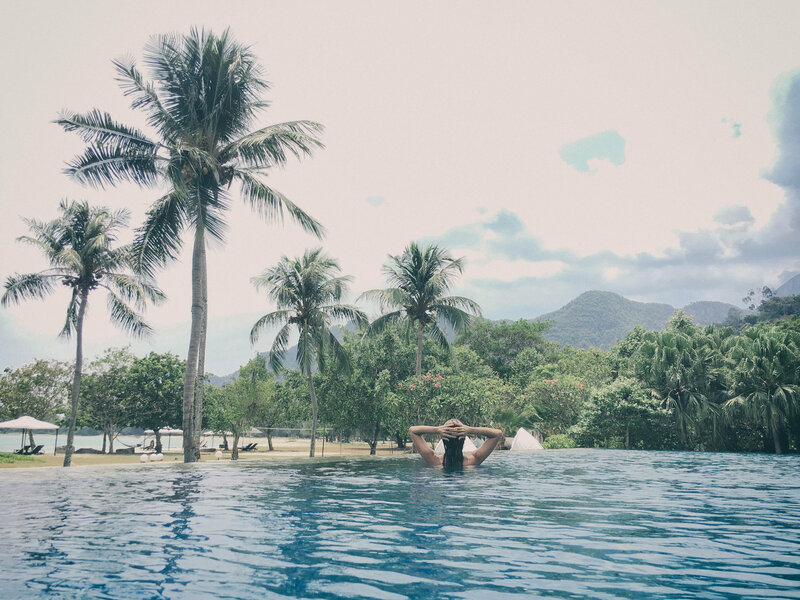 You can alternate your time from the beach to the huge pool that the property has, or if you want a little bit more privacy, sometimes you can catch the jacuzzi empty. 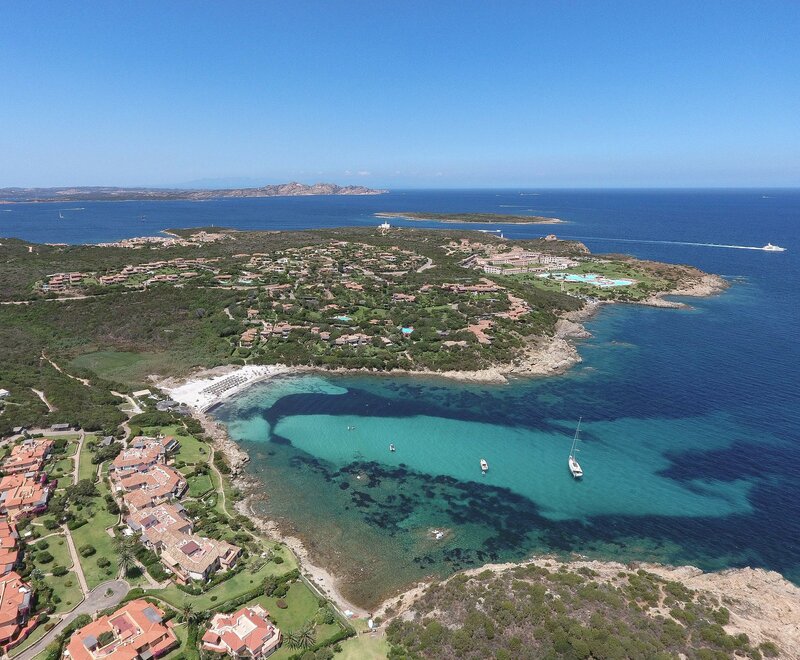 This property is recommended for anyone who wants to lay back and enjoy the property and desires to be in the heart of Porto Cervo, with all of the luxurious and famous restaurants, boutiques at less than 10 minutes away. Keep in mind that this property can get very price, so I would highly recommend you book in advance as prices can vary greatly depending on what time of the year you plan to visit or when you booked your stay. Though it offers a great location, beautiful views, beach access, etc, the property itself is not very modern, and the rooms are quite outdated especially the bathrooms. 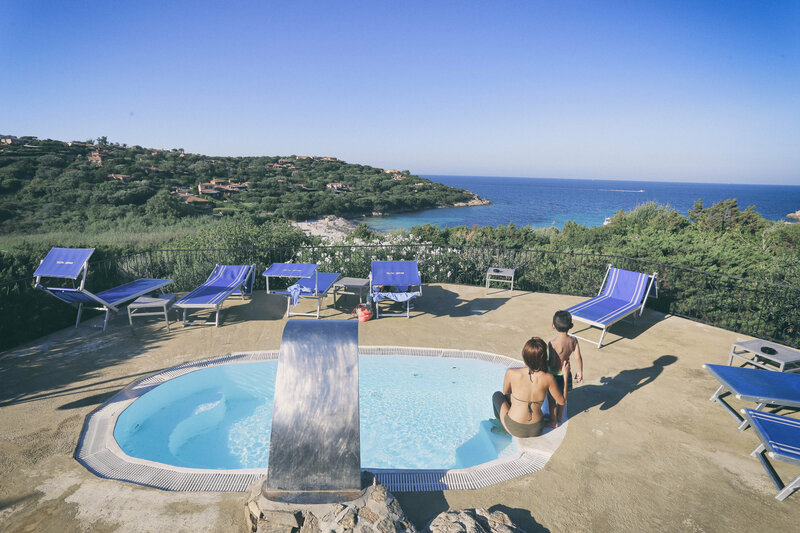 If you are looking to experience the more adventurous side of the island, with only adding Porto Cervo as an additional stop, but also wish to relax and enjoy a good view, I would suggest to stay in Hotel Luna Lughente. This property can set you back as low as $70 a night but with an average price point of around $100 including breakfast. This hotel is very clean and simple, and is only 10 min from Olbia Airport. But here is the best part…. We ventured to visiting Sardinia for a family event without doing much research of what was around it, but I regret not exploring the area, especially not taking a short boat ride to visit the archipelago of Maddalena. 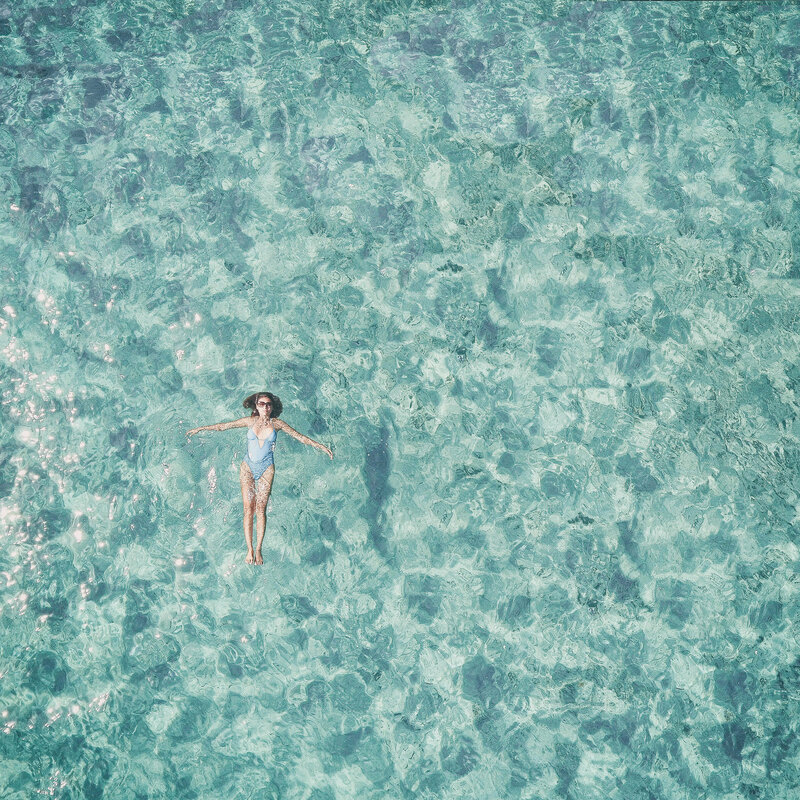 If we get the chance to visit again I would include these places in our itinerary: Neptune’s Grotto, Capo Testa and possibly the number one in our itinerary, Cala Luna which its about 4 hours south of Olbia. This makes me wanna go so bad! What an incredible pool that is! The pictures and views are just so amazing. Makes me wanna go right now! By the way, which camera do you use? Do you use a drone? Wow didn't know this is such a beautiful area! Thanks for sharing !! This is a perfect Location! I love the view and the landscape surrounding! Maybe i will visit next year! Great Photos!! 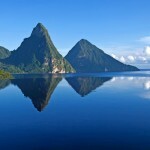 I really dream of discovering that island! This looks incredibly beautiful! Corsica and Sardinia are really on my bucket list... I love the picture of you in the pool! True beauty! This place looks incredible! i def need to look into it!!! 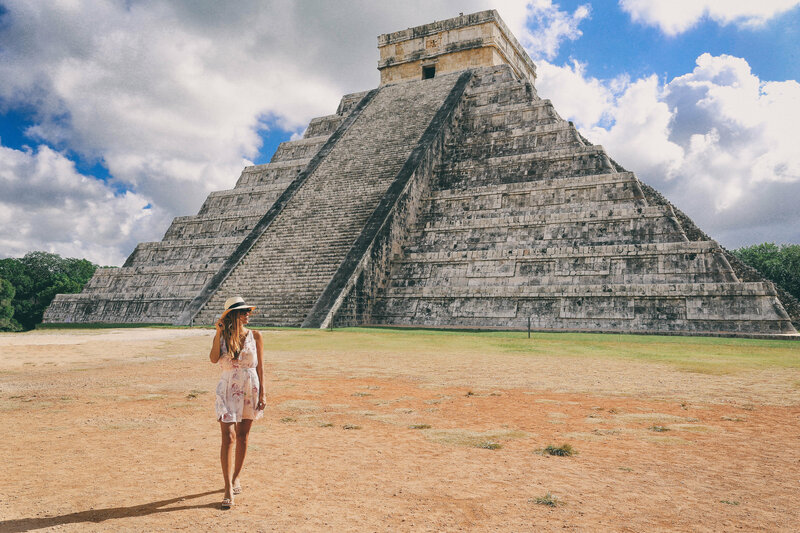 It's almost always impossible to completely explore a destination but that makes your next trip back that much more exciting. I feel like I say this every time but such gorgeous pictures!!!! Did you use a drone for that first shot? And I love your one piece swimsuit and the black off the shoulder top! You look so stunning in them and you're definitely the most stylish mom I know. This post is also making me so depressed since I wanna just fly out there right now but I obviously can't because of work obligations haha. Cheers and happy holidays! Italy has some incredible hidden gems. I'm glad you liked our Sardinia! Wow! I could easily manage to stay here for ever. So beautiful and the pictures! Stunning!